Hmm.. Timer initialization? “The third Tick gives you the answer ;)”. This function calls irq_install_handler to install a custom IRQ handler for IRQ0 (system clock). 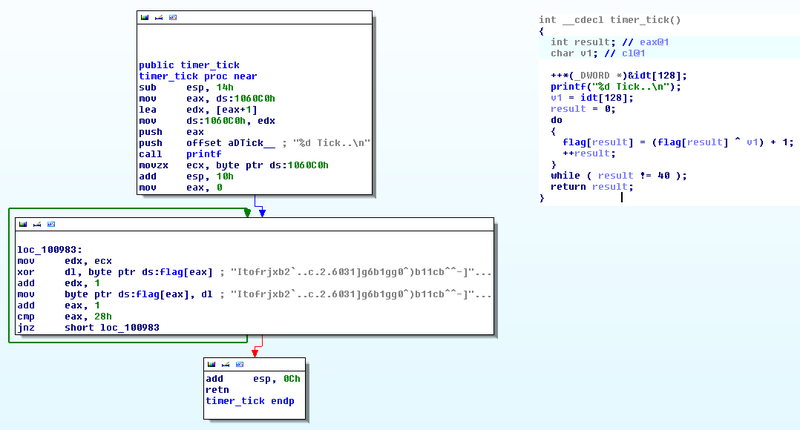 Let’s have a look at this IRQ handler, timer_tick! This looks interesting! We see a variable called “flag” (dead giveaway..) and a suspicious looking string which get’s modified every tick. Time to debug this and see what “flag” contains after the third thick. We use QEMU to run and debug the kernel. 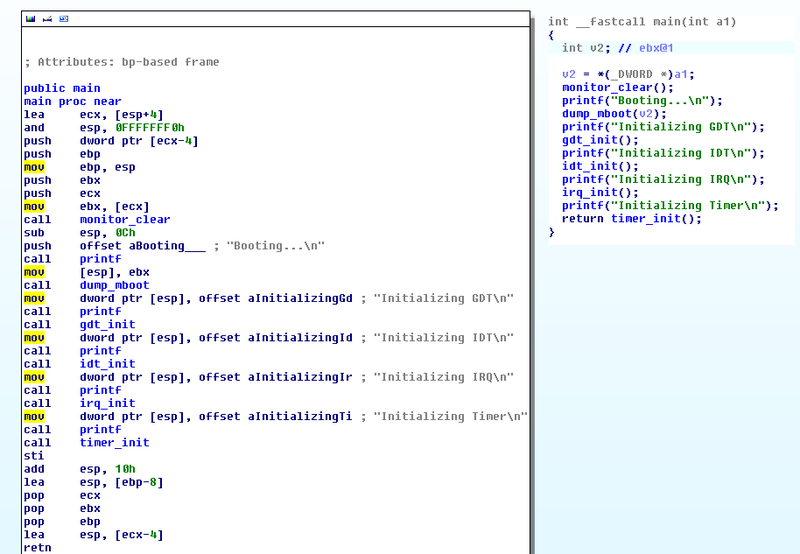 We can connect to it using GDB and step though the timer_tick callbacks, reviewing what is in the flag variable. And there it is.. After three thicks we have the flag! 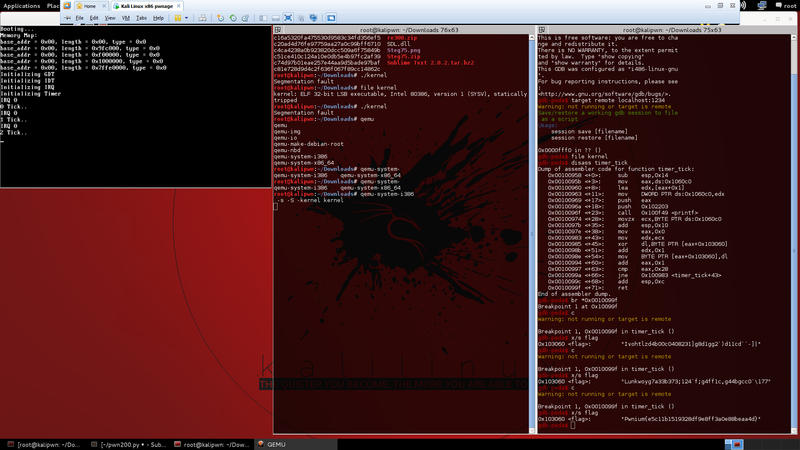 This entry was posted in Blog, Reverse Engineering, Write-Up and tagged CTF, Exploitation, Linux, Reverse Engineering on 07/10/2014 by jellever.